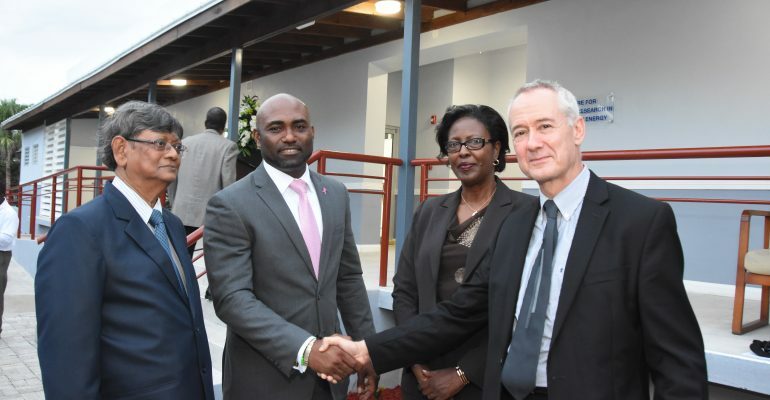 Jamaica and the Caribbean’s first net zero energy building was officially opened on Wednesday on The University of the West Indies’ (UWI) Mona Campus. Minister of Science, Energy and Technology Dr Andrew Wheatley said now that the prototype building is complete and ready for use, Jamaica is looking forward to the results, in order to make the case for more energy-efficient building designs and greater use of renewable resources. “The net zero energy building becomes more significant to us when we take account of the fact that buildings account for over a third of the world’s energy use and associated greenhouse gas emissions,” Dr Wheatley pointed out. It is estimated that more than half of the electricity produced is consumed by buildings, with 10 to 20 per cent of total life-cycle use going into the manufacture and assembly of building material, construction, maintenance, refurbishing and demolition.